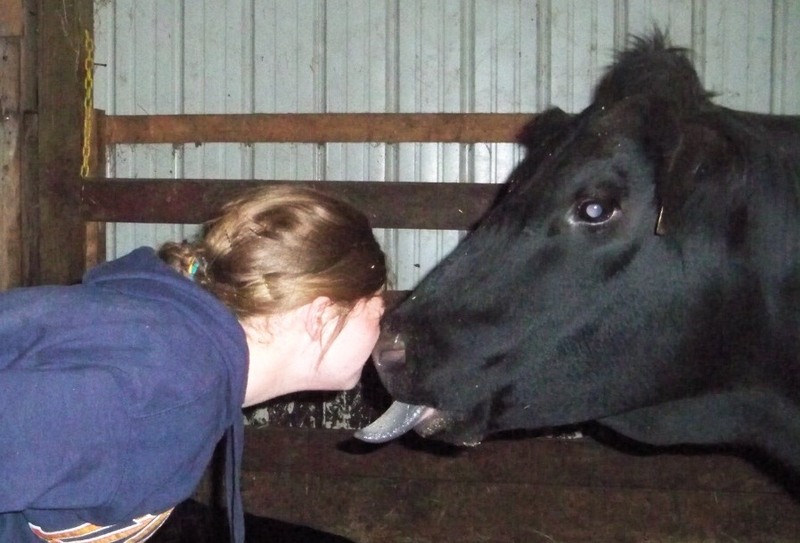 AgFact Day #9: Black Angus Cattle have gray-rough tongues. Many people who visit our beef farm are surprised to learn that the color of the tongue of our purebred Angus Cattle are grey. The tongue surface is also very rough. I do not recommend that you get as close as my daughter to examine a cow’s tongue. Remember this is a cow she owns and works with every day. They have earned each other’s trust. Immigrants brought Dairy cows by ship from Europe to provided milk and meat for their families. Realizing the first Thanksgiving probably did not include goodness from the dairy animals but as settlers came to America so did dairy cows. At the turn of the century, cities grew and the demand for mass production of milk and other dairy products sparked innovation. Significant inventions such as commercial milk bottles, milking machines, tuberculin tests for cattle, pasteurization equipment, refrigerated milk tank cars, and automatic bottling machines contributed towards making milk a healthful and commercially viable product. It is important to remember that whole milk from dairy cows, sheep, or goats is the raw product to produce all other dairy products: cheese, whipping cream, butter, and ice cream. It is no secret that dairy products especially milk are vital to the development of strong bones and reduce the risk for developing rickets and osteoporosis. Rule of thumb: It takes 3 cups of cooked broccoli to equal the calcium in 1 cup of milk, 1 oz of cheese contains 8 grams of protein, and 8 oz serving of low fat yogurt contains the same potassium as banana. Presently, Thanksgiving menus will include some type of dairy product from milk in the glass to whipping cream on desserts. In 2010, U.S. 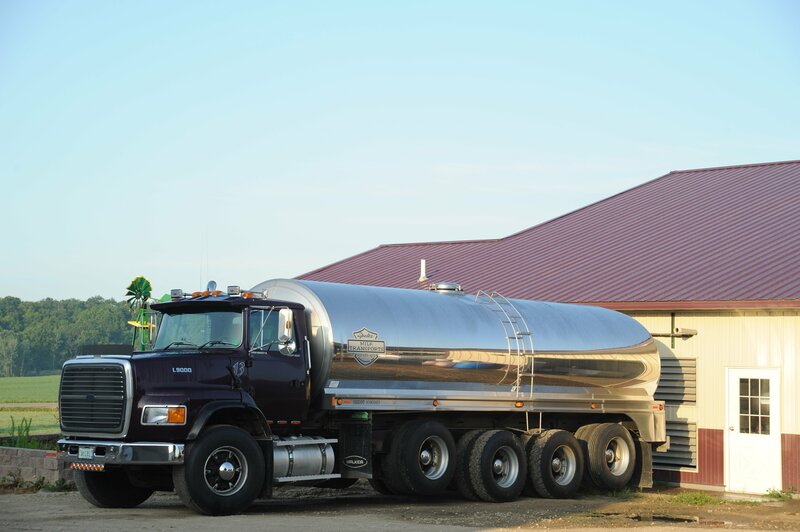 Dairy farms produced 192.8 billion pounds of milk valuing at $31.4 billion. Wisconsin and California have always battled for bragging rights as top producing state. California “Happy Cows” moved ahead in 1993 in total fluid milk, butter, ice cream, and nonfat dairy production. However, Wisconsin remains number one producer of cheese. The collection of milk would not be possible without hardworking farmers-Thank You- who enter a new level of commitment by milking two to three times a day. While the total dollars brought into our nation’s economy seems like a large sum, it is must be noted that the price the farmer receives for milk in recent years have been so low that some have said they are paying for milk to be hauled off the farm for processing instead of being paid for the raw product. 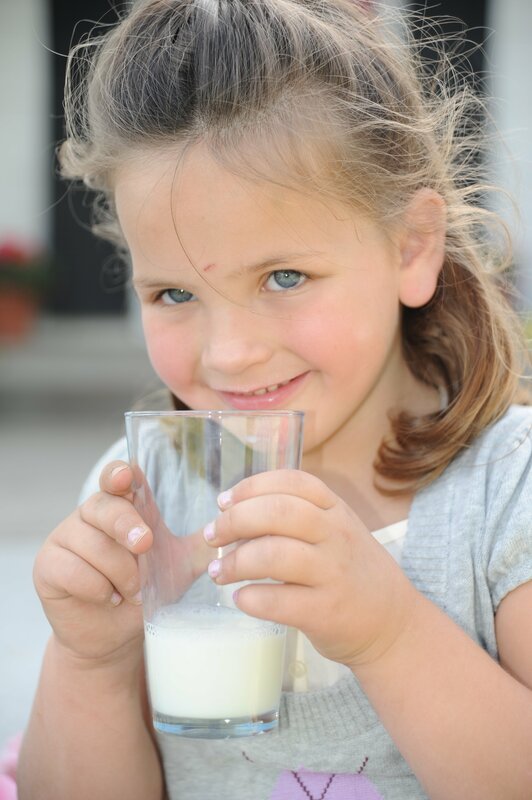 Did you know that when you purchase 1 gallon of Milk at $4.39 the Farmer’s Share is $1.71?